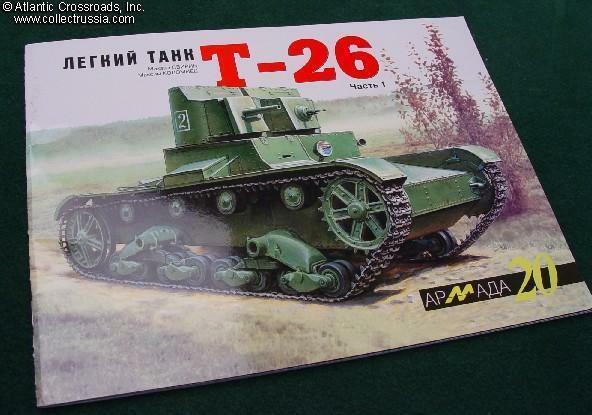 "T-26 Light Tank" M Svirin, M Kolomiets, 2000, Moscow, approximately 8 1/2" x 11", In Russian with English captions under photos, Contains 137 period photos, plus many technical drawings and color illustrations. 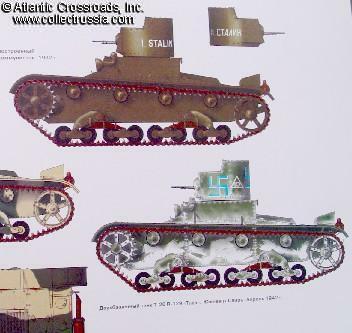 Covers of modifications of this tank, including such oddities as remote TV controlled tank. 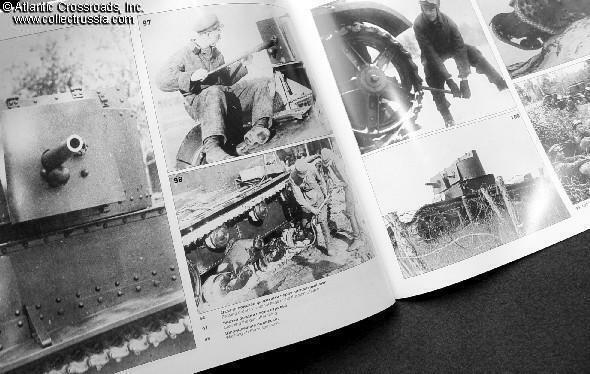 The book includes very detailed history of T-26s development and combat deployment up to the second year of the Patriotic War. Soft covered, 56 pp. About 8"x11".